During a recent Twitter party, I got chatting with a new follower about a Chicken Wellington Recipe that is a family favorite. She was wondering how easy it was to make since she is always looking for new recipes to try. 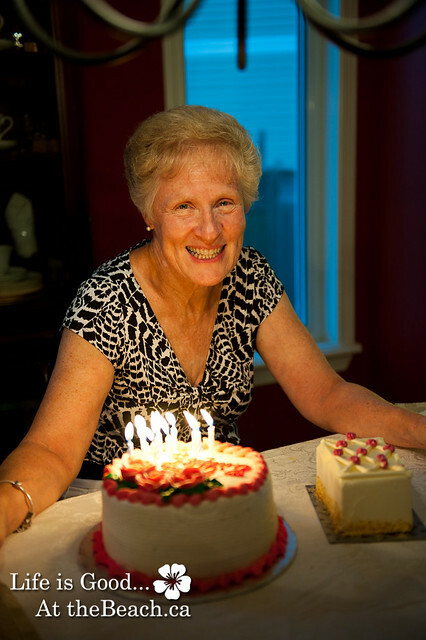 I knew I was making it last night for my Mom’s 65th Birthday, so why not blog the recipe so others can enjoy as well. The first time is always the hardest with any recipe, but honestly it really is super easy and impresses people makes you look like you slaved all day long. My Mom has been making this recipe for many years so I don’t know where it came from, some fabulous magazine no doubt. And I had to pick up this wine for supper, I had no idea what it tasted like, but somehow it called out to me from the shelves. 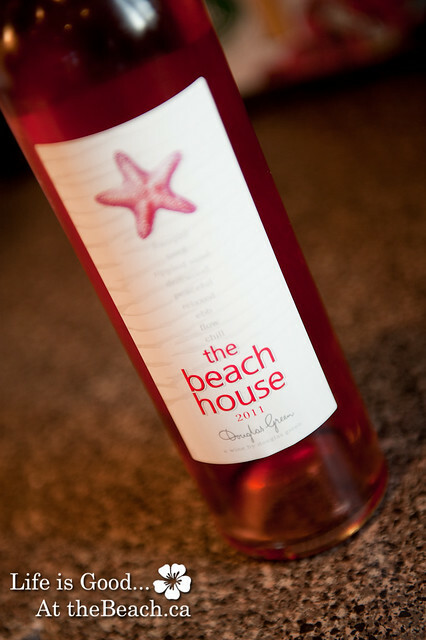 In the end it was quite nice, a Rosé from South Africa. Refreshing on a warm day. Place chicken breasts in a large cake pan or jelly roll pan. Season with salt and pepper, pour white wine and oil to pan. Cover tightly with foil. Bake at 350 for 20 minutes or until chickent is firm to touch. 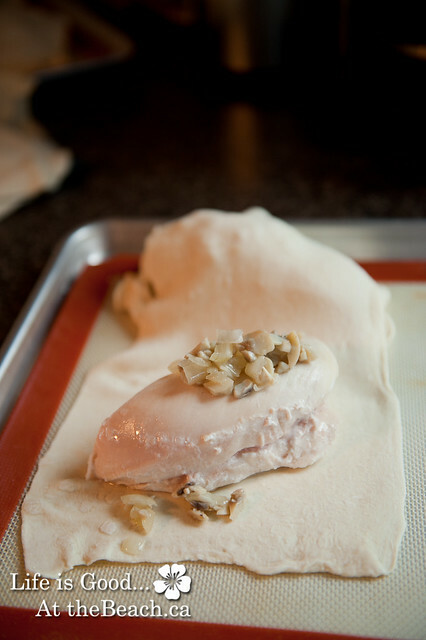 Allow chicken to cool or at the very least rest in on a paper towel before wrapping for a few minutes. 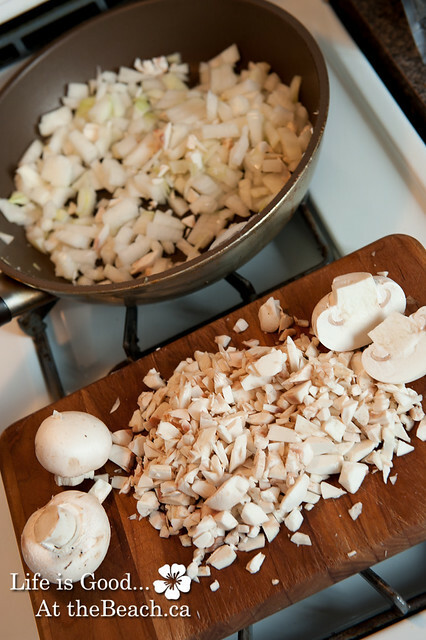 While the chicken is cooking sauté chopped mushrooms and onion in butter until soft, in a large skillet. Season with salt. Let cool for a few minutes. 3. Thaw frozen puff pastry. Roll out pastry into long rectangles (I get four rectangles per box) using flour if needed. 4. Place one piece of chicken on the rectangle of pastry, spoon some mushroom mixture on top, wrap the pastry over the chicken and seal with a fork. 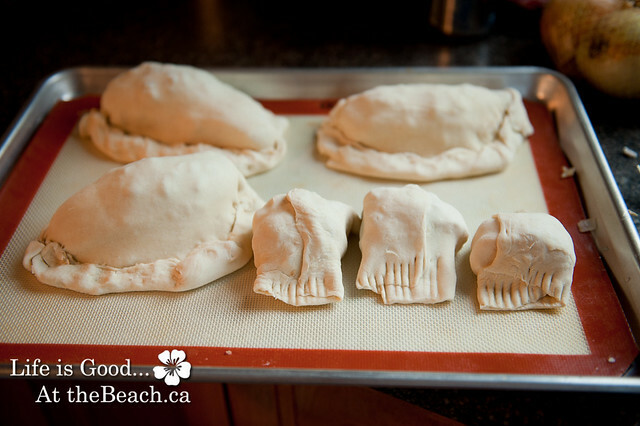 5.When all chicken breasts are wrapped, place on a large cookie sheet and bake in the oven at 375 for 40 minutes. 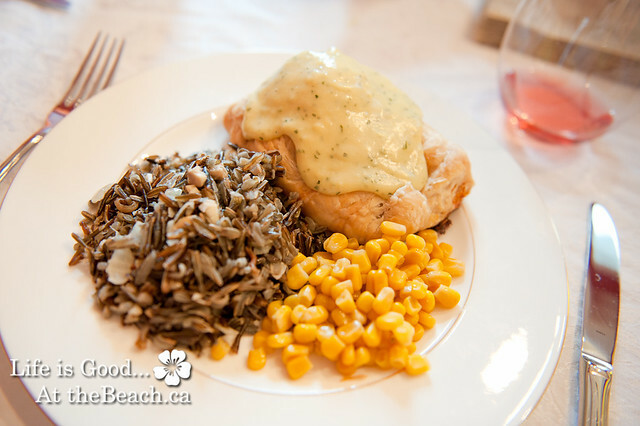 6.Serve with Bearnaise Sauce and Wild Rice. Follow directions on your box of Wild Rice. When the rice is ready stir in sautéd onions and sliced almonds with a 1/4 c of white wine. Let simmer until wine has evaporated and serve. Always follow with a fabulous dessert, preferably birthday cake, but any dessert will do.